The first thing that anyone wishes to have in their home is a bit of privacy, while also being able to make a real statement to the neighborhood. The main thing that others will see, of course, is your windows – and we all know how hard it can be to find the right fashion accessories for your windows! 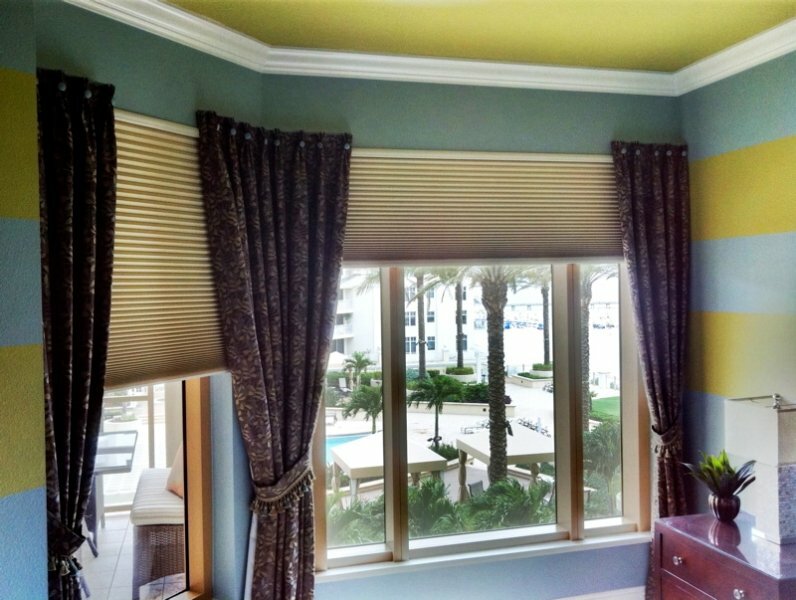 This is where blackout drapery can be a great option for your next window treatment decision. Using the best blackout drapery in Florida can give you all the help that you need in creating an engaging and attractive design without removing any of the style or class that was there previously. Best of all, using blackout drapery can help you cut energy costs at the same time! The best thing about using drapery is that it can provide you with many more useful services other than just looking great. For example, many experts notice that by using blackout drapes/curtains in the Florida, you can help to reduce the blaring heat that our homes tend to have on an almost constant basis. By using the right combinations of drapery in Florida, you can make sure that you will be cutting costs by using the reflective backing to revert this excess heat away from your home. This keeps the place nice and cool, and only needs to be shut after a few hours to avoid over-exposure to ultraviolet rays! Worried about the place getting too cold? Then you only need to open the curtains for a little while to let that heat back in as normal, simple! Another excellent aspect of using blackout curtains in Florida is the fact that it can help keep utility bills down. It’s vital to keep your energy costs down and the vast majority of heat lost in your home comes from windows and doors. By using drapes that are in the right color – typically dark colors – you can help to cut as much as 10% off the amount of energy being lost, just by changing the curtains! Of course, there is more to it than just having an effective set of curtains; they need to look nice, too. Picking up blackout drapes in Florida can be a bit of a bore if you expect to just be buying something that’s very plain yet energy efficient – instead, you’ll find that drapes can take on a variety of styles and patterns to fit your own mindset! It’s easy enough to find something that suits the narrative you are going for, creating an effective and awesome looking room that fits together perfectly. Getting the best blackout drapery in Florida may seem like a challenge, but with all of the styles out there matched up with the massive amount of positive features they provide? You’d be crazy not to!